The band have also announced an 11-date UK and Ireland tour which will take place in December and will see them performing their 1987 album Hysteria in its entirety. They’ll be supported by Cheap Trick on all dates. 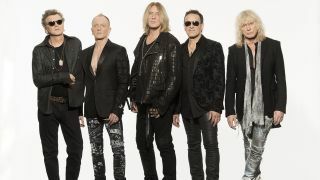 A full list of Def Leppard’s material which is now available on streaming platforms can be seen below along with their December tour dates.